PHP Scripts Mall expert has developed their advanced BigBasket Clone Script with best essential online grocery shopping store with the multi-functionality vendor store script, this script will help the users to buy their grocery items needs from the multi-vendor or single-vendor shopping store, and this site is one of the emerging scripts among the entrepreneurs who are like to stand alone in their successful business, the scope of the BigBasket Script is high for the users to make their online booking in this digitalized world. 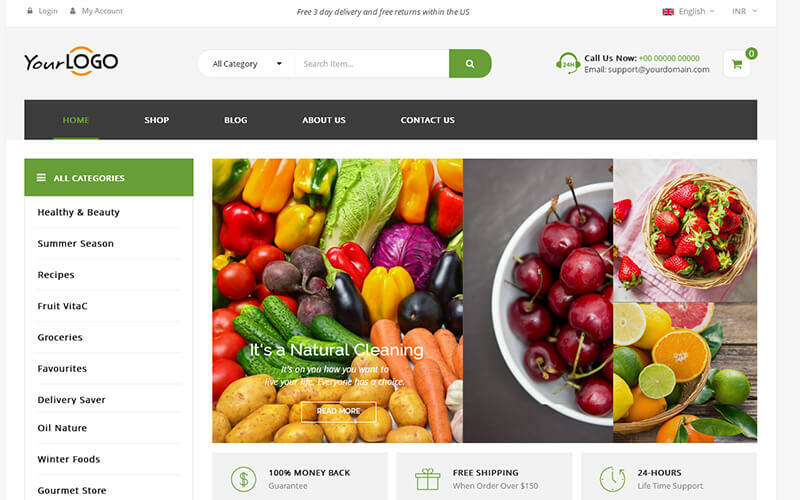 It is one of the best ways to kick-start their own online grocery store business for the business entrepreneurs to reach their goals and target in a short span of time. The Morrisons Script is designed and developed with the professional experts to customize the script based on the user requirement. It is designed with user impressive custom templates to make the user feel the experience of using the grocery site. The users can register their account with the valid mail id and password, then the user can log in to the system and can find the display of the products with name, images, price and offers etc. Where the user can order their grocery items by seeing the reviews and ratings of the store and can add the product to the wishlist, make the online payment by using integrated payment methods. The order confirmation is sent through the user mail. The Sainsburys Clone has the essential managing resources features and canaccess the entire site by the admin, with the best monitoring facility. The site general settings, customization and granting permission for the user, vendor request for the account, post permission. The Sainsburys Script will also help the admin to get revenue by using the revenue models in the script like banners ads, Google ads, and other advertisements. Overall the script will help both the users and shopkeepers to make their process is a simple, efficient way and with mobile-friendly customization site. The best place to purchase the script for grocery store is PHP scripts mall only. The store is fully enhanced with latest modern features to make my site profitable. The SEO team is really good because they supported with good SEO techniques. This script will be flexible for anyone in my point of view.